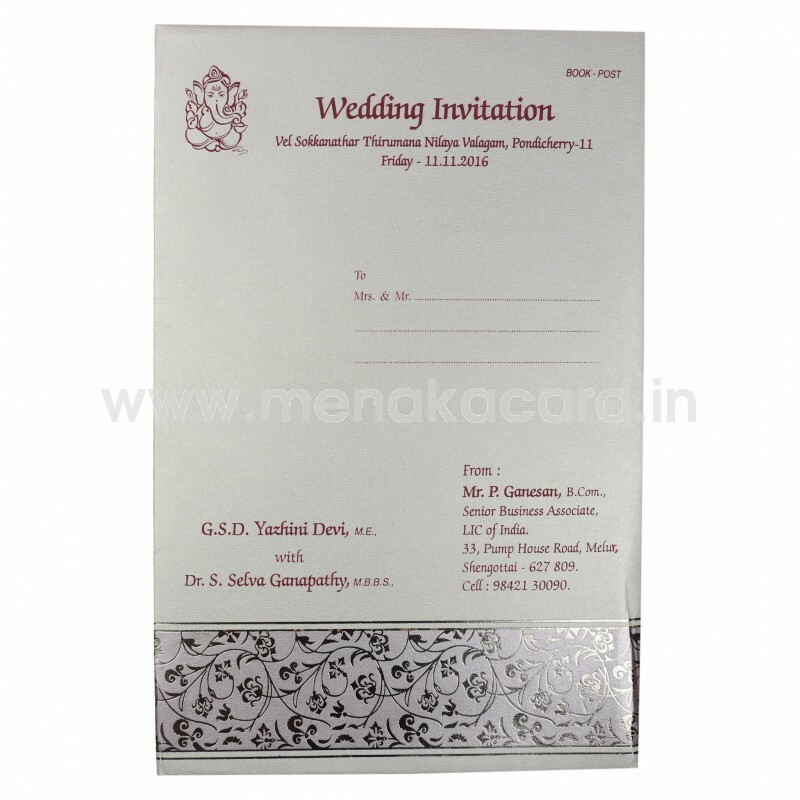 This Ornate Gold book-folding card has a gorgeous floral filigree frame in gold foil inside which sits a textured board that can carry symbols or the names of the couple printed in beautiful gold foil. 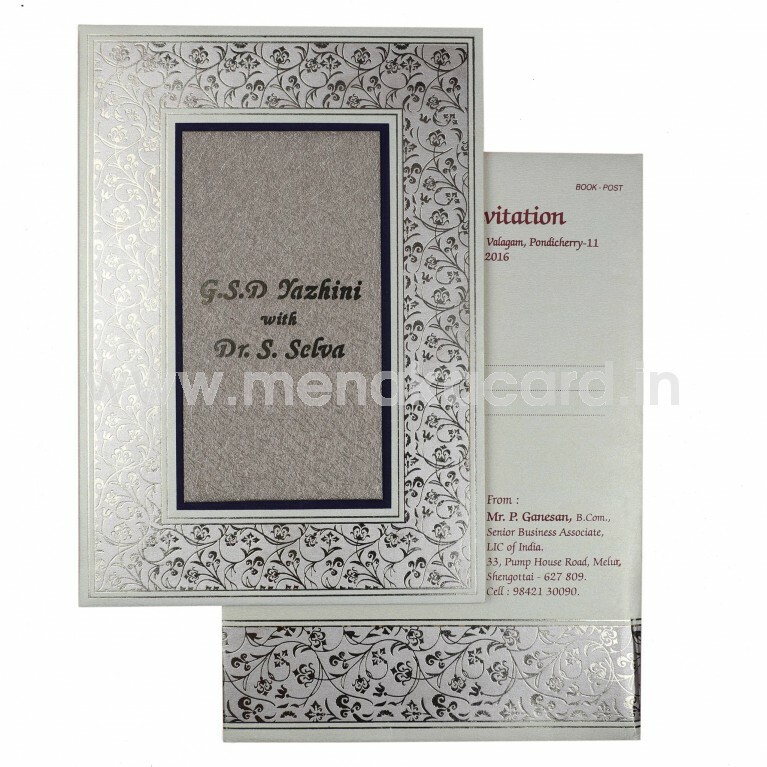 The card is made out of an gold shimmer board and is padded on the inside, on which the simple cream shimmer board inserts with content printed in a color of choice. The card comes with a simple gold envelope that reflects the floral gold foil pattern seen on the card front. 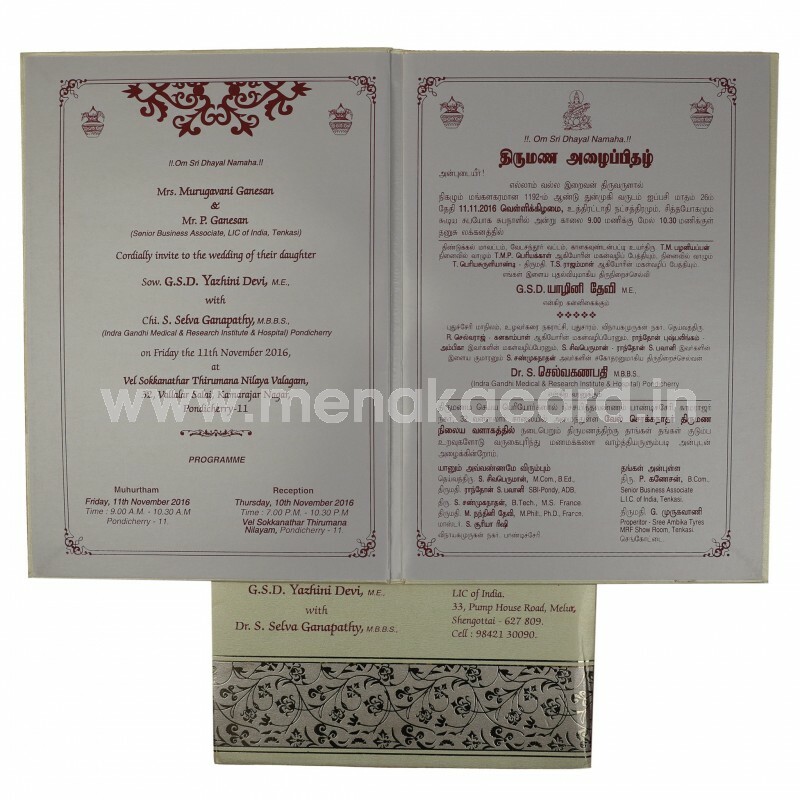 This card is used for Hindu weddings but can also be converted for use in Christian and Muslim ceremonies.